Thanks to everyone who sent this link in (Bill, Dan, John, Barry, Alan, APB). 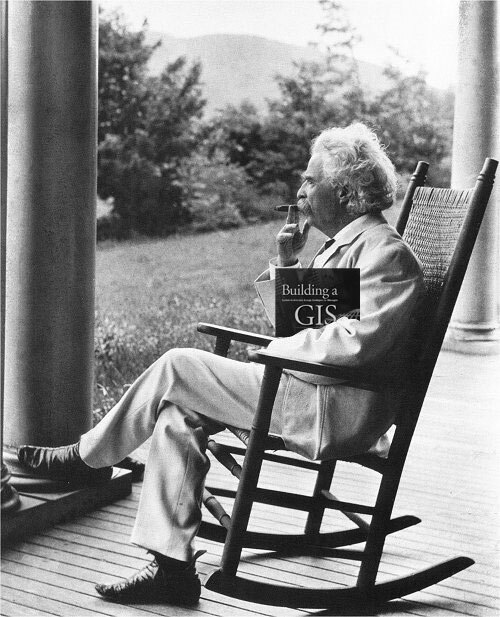 ESRI has compiled essays from their publications into a GIS Best Practices whitepaper. Good for all those who like to pile your ArcNews in the corner of your office to show how important you are. Dave Peter’s great whitepaper on System Design Strategies has been updated and on its 25th edition. Many were relieved to hear that he is going to continue updating the paper even after his new book (which I have an plan to start reading next week while traveling). Peter Batty continues to write about Netezza’s new spatial product. He blogged about why this performance is important and where it is going to be used. Of course I doubt I’ll be seeing it replace our SQL Server 2008 anytime soon but this could be the direction we are all moving toward. He also posted a video interview with Rich Zimmerman who was the lead developer on Netezza’s spatial extension. Well worth watching if you want to hear how someone could take PostgreSQL and turn it into a monster. Jithen blogged about updating the ArcGIS 9.3 SP1 announcement and how many more bugs they’ve fixed. It really is amazing how their new crash reporting tools allows them to find and fix bugs faster than before. I suspect we’ll see later service packs much smaller than they were at 9.2 given that they are able to trap the errors much easier. I’m still on 9.2 (this will be resolved very soon) so I have to watch the fun from afar. Sean Gorman, bless his heart, has followed up his GeoWeb blog ranking list post. I think Technorati isn’t work the time it takes me to type it, but the idea that he wants to develop a blog list is interesting to me and if he/we can come up with a good ranking scheme, it could be very useful to seeing changes with blogs over time. Lastly, Microsoft is going to have a couple webcasts about Virtual Earth. Mark Brown posted information about a Virtual Earth 6.2 Technical Webcast October 3rd at 10am PDT and Chris Pendleton has one called Momentum Webcast: See More and Do More with Microsoft Virtual Earth October 2 at 9AM PDT.